"Warmer weather calls for linen for both its coolness and unique style. We engineered these trousers to offer you the best of linen, adding an easy-care finish to ensure you don’t think twice before putting them on. Thanks to our new improved fit they look fantastic and feel wonderful." "100% linen tailored trousers, pre-washed for extra comfort, with an easy-care finish for ease." 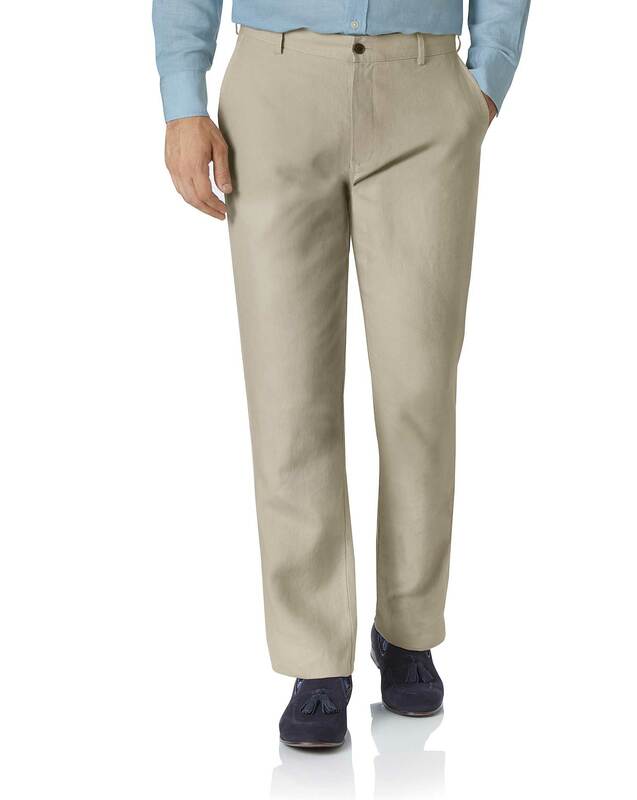 A special finish gives these trousers the elegant look of linen without the bothersome creases.